Search Engine benipal.com announces the launch of its Online Marketplace offering individuals, sellers and merchants a unique venue to showcase and sell their New and Used products online. Offering simple, easy product posting, benipal offers the finest search capabilities in the Online Marketplace space. Choose from any of the over 250 million products currently on sale at benipal.com or post a fresh product, Used or New, set a Fixed Price or Accept Offers and Negotiate live. Sign Up for a New Seller Account, load products and start selling within minutes. No need to manage expensive e commerce websites, carts, online stores and SEM or SEO programs or wait for auctions to end. One click to post, search, market and sell. With the unique search capabilities of the benipal search engine built in, posted items are available live for search in seconds. Sell for free within same City. Pay no Selling Fees on Local Pickup only items. Pay Low Selling Fees on all Sales. Compare prices across Sellers and Merchants. Obtain Price Intelligence to decide optimum Selling Price. Bargain and Negotiate. Sellers can choose from over 30 categories to sell their products and Art Galleries can showcase and sell their Art Works in the Fine Arts section. Individual Artists, Fashion Designers and Labels may qualify for free or low selling fee accounts, subject to certain restrictions. Currently offering payment options by Stripe, other payment options by Amazon Payments, Paypal and Balanced available soon. benipal marketplace offers affiliates a high paying referral program that pays out over a full year for each account referred, whether buyer or seller. Referrals and Affiliates can earn up to 2% on each qualifying transaction on the benipal marketplace for a full year for each new account. “I am very pleased to offer a simple and easy way for individuals, sellers, artists, designers and merchants to showcase and sell their products online and to take full advantage of the excellent search capabilities offered by the benipal search engine. Starting with a New Goods marketplace where all Local Sales and Local Pickup products Sell for Free, a Used Goods marketplace and a larger variety of payment options will be available soon,” said Sukhbir Benipal. The benipal e commerce search engine was launched in March 2014 and currently offers over 250 Million products to buy from over 10,000 merchants. With its unique “search any which way” algorithms that understand the intent of user query, benipal provides the finest product search online. Theres a new Dream Team in telehealth led by industry icons and former American Telemedicine Association Presidents, Dr. Jay Sanders, the father of telemedicine and Astronaut Physician, Dr. Bernard Harris. This effort to bring in several of the leading minds in applied telehealth was orchestrated by Paula Guy, CEO of Global Partnership for TeleHealth. Paula has worked for over 15 years in the telehealth industry and has successfully launched several of the most robust telemedicine organizations in world. TeleHealth International Partnerships (TIP) mission is to deliver worldwide access to healthcare. TIP is led by a world renowned telehealth team of experts including Dr. Jay Sanders – Chaiman, Dr. Bernard Harris Vice Chairman, Dr. David Flannery, Paula Guy – CEO, Dr. Jeffrey Kesler COO and Matt Jansen – CDO. Their combined pioneering successes in applied telehealth and telemedicine initiatives and services has supported agencies in providing efficient, cost effective, high quality healthcare to hundreds of thousands globally. TIPs over 100 years of collective professional experience in applied telemedicine practices, programs and technology integration is reaching far beyond borders of traditional medicine to make the world a healthier place. Cash for Cars Quick recently announced that they are launching a new service location in Los Angeles for the benefit of their customers in the city and its surrounding areas. The company has become popular in a very short span of time owing to its efforts in the field of automobile waste management and promoting eco-friendly ways of eliminating junk and unwanted cars and trucks. Since abandoned junk vehicles pose a serious threat to the environment, the company has presented a way to get rid of damaged or unusable vehicles that is beneficial for both the seller and the buyer. Automobile waste management is a field that requires attention in all cities of the United States in order to ensure a cleaner and hazard-free environment for future generations. Abandoned unusable cars and trucks on public property pose serious threats to environment because of the toxic waste and reactive fluids that may even cause explosion. Companies like Cash for Cars Quick are working actively to remove these abandoned vehicles from various cities and they are also offering attractive returns to car owners. The auto buyer offers an attractive amount of cash so owners would be willing to sell their junk cars instead of deserting them on roadsides. The company has managed to develop an impressive clientele through their remarkable marketing efforts and reliable customer services. Recently the company announced in Los Angeles California that they are launching a new service location very soon in the city to facilitate the residents and those living in the suburbs. The new location will help to attract more car owners to give away their unwanted and scrap vehicles to the company to receive great return in the form of instant cash. The service offered by this company is quite attractive as it entails many value-added features as well, such as arranging for a pick-up service and handling all the paperwork that is part of a car selling procedure. These features have made the company go ahead of its competitors in a very short span of time. The new project by Cash for Cars Quick in Los Angeles has received positive feedback from affiliates and customers alike. The announcement has made the company even more popular and has increased its reputation among the residents of Los Angeles and its surrounding areas and suburbs. Now people will not have any difficulty in getting access to the service and they will also be able to sell their cars quickly and lucratively without facing many hurdles. The company is currently paying large sums of money for a possibly damaged or wrecked old car or truck. The company has formed partnerships with a large number of automobile recycling companies throughout the US. These partnerships are so that they could offer them reusable cars no longer wanted by the owners to reprocess their parts and reduce automobile pollution while doing so. Cashforcarsquick.com is a promising company in the field of automobile waste management running its operations successfully in various cities of the United States. The service offers high returns to car owners who wish to sell off their junk and scrap cars to receive some extra and instant cash. The auto buyer is actively promoting its service on the internet through excellent marketing endeavors. Their official website is maintained by the best SEO professional in the country and is well aware of the responsibility. For more information on the services and operations of this company, kindly visit their local website at http://www.losangelescashforcarsquick.com/ or call their sales representatives directly to get an instant quote for your junk car. FundingDream, an all-or-nothing crowdsourcing platform aimed at promoting socially conscious projects, businesses and charities in China, is announcing the impending launch of its platform, slated for December 3, 2013, coinciding with Giving Tuesday. The FundingDream model resembles the USA-based, highly successful KickStarter platform, in which campaigns are funded and contributors charged only if they meet monetary goals that are predetermined by project creators. If a project is successfully funded, FundingDream collects a 10% fee on all raised funds, while the remainder of pledged funds are funneled directly to the project itself. Though not the first crowdsourcing initiative to reach the Chinese market, FundingDream will leverage high-level partnerships to reach out directly to socially active citizens, including an affiliation with Jiekuwang, a Chinese online shopping startup site with half a million active users. FundingDream competitors include DreamMore and Demo Hour, with Demo Hour achieving $ 500,000 in pledges on 150 projects in its first year, 2011, with significant growth since. The Chinese market has been largely apprehensive to online donation projects, much in part to the concept of donating money being seen as a frivolous act. Income inequality and a social stigma surrounding charity have been concerns for FundingDream, however the company believes that a worldwide changing attitude towards crowdsourcing is coinciding positively with the launch of the platform. A Los Angeles firm, which analyzed data for 308 crowd-funding platforms worldwide, predicts crowdsourcing market revenue to double from $ 1.5 billion in 2011, to over $ 3 billion by the end of 2013. 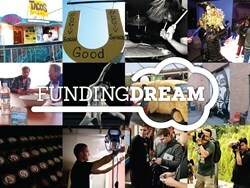 FundingDream has already garnered widespread appeal, despite still being in the beta-testing phase of its launch. A recent article published on Mashable.com profiled the startup, while the public access beta has been received positively by critics around the web. To learn more about FundingDream or to view the live beta platform, please visit http://fundingdream.com/. Affiliate marketing is a fast growing industry, according to Forrester.com US affiliate marketing spending will thus reach $ 4 billion by 2014 and will increase at a compound annual growth rate (CAGR) of 16% from 2009 through 2014. * This means big opportunity for those looking to make a full time income online in affiliate marketing. There are a multitude of profitable affiliate programs that are available across a vast amount of niches. Fortunately affiliate marketing is at an all-time high and new opportunities are available with increasing frequency. An exciting new opportunity is a new affiliate program offered through Fire Mountain Gems, a US-based beading and jewelry supply company. 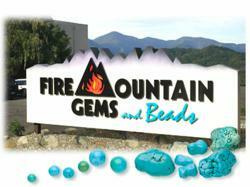 Fire Mountain Gems first began selling beading and jewelry supplies in 1973. Over the years they have built great relationships with designers, artists, suppliers, and employees. They are extending the opportunity to build more great relationships through this new program, which is being introduced by All Inclusive Marketing. The program officially launched on July 1, 2013 and has teamed up with ShareASale, a performance marketing network founded in year 2000, which offers connections to more than 2,500 online merchants that are plugged in to the network. While other networks require marketers to download some type of program, ShareASale allows affiliates marketers to keep an eye on their statistics in real time without use of software like Adware, toolbars, or other desktop-based software. ShareASale constantly looks for ways to benefit both marketers and affiliates. One way that Sarah Bundy describes on her blog is Leap Frogging, a custom tracking method that credits affiliates differently according to different set rules which will significantly help with attribution. -Dedicated affiliate manager who provides training, custom creative and personalized promotional opportunities. The founder and CEO of All Inclusive Marketing and instructor at The School of Internet Marketing, Sarah Bundy is an award-winning affiliate marketer with 12 years of sales and marketing experience. She contributes to affiliate marketing magazines and websites, volunteers on the board of the Online Marketing Institute, and takes every opportunity to improve the marketing industry through awareness, education, and training. That includes introducing new affiliate marketing programs such as the one from Fire Mountain Gems. Known for exceptional customer service, Fire Mountain Gems and Beads, based in Grants Pass, Oregon , has been the one-stop shop for jewelry-making wholesalers, retailers and designer-artists for over 39 years. The diverse product selection offers more than 116,000 hot jewelry-making supplies. Online you can get your free copy of the 448-page, full-color Jewelry Maker’s Catalog and browse E-Catalogs for the feel of the catalog with the ease of the web! Visit http://www.firemountaingems.com/ for more information. All Inclusive Marketing (AIM) is a full service digital marketing agency with offices in Vancouver, Chicago and soon to be London. They service clients from around the world including Canada, United States, Brazil, Europe, Caribbean, the Middle East and Asia. All Inclusive Marketings award winning team specializes in SEO, PPC, Big Data Analysis and Forecasting, Performance Marketing, Attribution Tracking, mCommerce, Email, Web Design, Video Optimization and Digital Strategy for Internet Retailers. Visit http://www.allinclusivemarketing.com for more information. The School of Internet Marketing allows business owners to take control of their web presence in order to develop new leads and customers. The School works to empower business owners with the understanding that a little education can go a long way. It offers a variety of 100% web-based courses for small business owners wanting to learn how to market their business online for just $ 47 per month. Visit http://www.theschoolofinternetmarketing.com for more information. powerful lighting IVR2-SPI (thin full post) is the latest addition to the V-Rail series success. V-Rail incorporates LED lighting in one stainless steel handrail system in elegant aluminum. The series features an integrated power supply SPI-IVR2 in ‘assembly position two “slim. This ensures the proper functioning of the LED and allows access and maintenance of all electrical components easy. It also allows individual control of the pilot in a long race that may require different levels of light and ensures that it will be considered an escape by having redundant systems. IVR2-SPI provides options that include mail or embedded mounting. Wall mounting is not available. IVR2-SPI system complies with ADA codes and carries a UL listed wet locations. addition to the V-Rail is also coming up in August, with the launch of V-Rail 1.5. The new V-rail 1.5 presents a real outside diameter of 1.5 cm with an optical system to improve it (including symmetric and asymmetric). The V-Rail 1.5 will also include a small 90 degree lens provides optimum brightness and reduced cutting. Remote power supply or integral is also available. The new V-Rail 1.5 meets all requirements of the building code handrail systems across the United States and Canada. This is a perfect design solution for a variety of commercial, residential, medical applications and hospitality. intense lighting equipment adds to the family Orbis Pluris line with the new Orbis ceramic metal halide. His own appearance and architectural design with concealed wiring and structure of reinforced plaster for installations without molding make it an ideal choice for retail applications. The lamps are available in a semi-flush or recess and to allow an increase in adjustment and inclination of 40 degrees. GU6.5 LED lamp and PGJ5 with a version being released in August 2013.
compared to the multiple number of traditional Pluris products, Orbis CMH offers an elegant, sophisticated alternative. Orbis LED is an extension of the powerful lighting MB winning track, but offers a more sophisticated design aesthetic clean. It is ideal for high performance lighting with its high level of HCBC. Orbis is a very effective and offers luminaire efficiency 68 lumens per watt (DLS). With its excellent beam control using powerful lighting, LED Orbis is a great alternative to a 20W or 50W MR16 ceramic metal halide. Orbis LED track luminaire includes multiple options CCT CRI and 3 tarmac step (3 SDMC) thermal management and active binning which includes a silent and reliable noise classification of the operation below 22dBA. Bigger is not always better. The new MB Mini track lighting is the newest addition to the award-winning Mo intense lighting. With trends moving equipment smaller and more versatile lighting MB Mini is smaller and less intrusive than anything else in its range of products today. Ideal for retail environments, MB Mini is an ideal replacement for the game ceramic metal halide 20W and 50W MR-16. The Mini offers 650 MB, 900 more than 1200 lumens delivered. It has the same spirit as the MB with different cross-cutting themes, including 2700K, 3000K, 3500K and 4000K with CRI options 82 and 92 (92 CRI available in 2700K and 3000K). Tolerance in three stages Macadam ellipse is standard and ensures consistent color accuracy, eliminating the variations of light and color. appreciate the opportunity to show how the AIA will give us each year to show our products more interesting and new, says Kenny Eidsvold, President of intense light. We are able to do so because we have a customer that constantly challenges us to create more options and tools to solve your lighting problems. We believe that we continue to perform well because of the excellent team spirit, we take dramatic lighting, and our ongoing commitment to provide excellent products and customer service. intense lighting, Inc. is widely recognized as a manufacturer of solutions, sustainable lighting products based awards. Innovative and energy efficient, our luminaires offer a wide range of degree lighting specification solutions for trade, hotels, supermarkets, retail and residential. Customers can choose from various lines of LED lights, recessed rails and wide multiple products. In addition to the interior lighting, Intense offers a complete range of outdoor lighting, including terminals, beautiful landscape lights, cylinder wall, wall lights, floor and fixtures in our popular V-Rail system path LED light iron. Founded in 2001 and headquartered in Anaheim, CA, intense lighting has quickly become a leader in the industry to continue to provide quality products with shorter lead times in the industry and provide excellent customer service . Today, with a team of more engineering products, intense lighting is at the forefront of research and development in LED indoor lighting solutions with an impressive warranty products company 10. Illuminations intense affiliations include interests in Engineering Society of North America (IESNA) Illuminating U.S. Green Building Council (USGBC), Lighting Designers Forum (DLF), and the Association of Retail Environments (ARE). In addition to its partnership with Energy Star and Lighting Facts (DOE), is a teaching approved by the American Institute of Architects (AIA) development and green Building Certification Institute (GBCI). For more information, visit or call 800-961-5321 http://www.intenselighting.com. The Open University (OU) is expanding with the launch of a bespoke, interactive site for European students wanting to access the renown University and its flexible, online degrees, elearning study and support system. Rated by students in 2012 as the most satisfying university in the UK*, The Open University offers qualifications ranging from MBA, postgraduate and undergraduate courses, across a variety of subjects via its unique distance learning method. The OU Business School is triple accredited (AMBA (UK), EQUIS (Europe) and ACCSB (USA)) of which only 1% of business schools worldwide hold. Launched in 1969 with 25,000 students The Open University now has just under a quarter of a million students registering on modules each year. Teaching material is delivered through a Virtual Learning Environment offering a rich mix of text and audio resources and student forums. The Open Universitys distance learning part time delivery allows students to earn while they learn. This modular study approach means students can study their preferred subjects when and where they want. There is a personal tutor for each module and a student:tutor ratio of approximately 18:1 ensures quality of support and guidance at all times. The academic excellence of The Open University is another factor, as Matthew explains: Almost two thirds of our research is classed as either World Leading or Internationally Excellent. The OU has 25 Affiliated Research Centres worldwide including the Health Protection Agency, Transport Research Laboratory and the UK Medical Research Council Laboratories in The Gambia. Across the University research is being conduct with the aim of benefiting society. For example a team in the OUs Faculty of Mathematics, Computing and Technology are developing an automated outbreak detection system that will be faster and more comprehensive than current methods. The OU also has a leading role in the UKs involvement in the next mission to Mars. ExoMars is a series of missions to Mars scheduled for launch in 2016 and 2018. The Department of Physical Sciences is involved in research, design and production of instruments in four key areas of this mission. The Open University (OU) is the largest academic institution in the UK and a world leader in flexible distance learning. Since it began in 1969, the OU has taught more than 1.8 million students and has almost 250,000 current students. The OU is rated the top university for student satisfaction in the National Student Survey, and has been in the top three universities every year since the survey began in 2005. Our academic excellence is underpinned by a thriving research base which inspires and informs our teaching. Almost two thirds of our research is classified as either World Leading or Internationally Excellent. Open University academics are developing instruments and software for the next European Space Agency/NASA space mission; working on new treatments for cancer; developing better ways to spot disease epidemics and predict volcanic eruptions; using sound to help boost crop production, and much more. After completing A levels Irene studied languages at a business academy in Vienna. Since 2001 she has been based in Germany, working in marketing and corporate communications for international mechanical engineering companies. Gift Card Impressions is partnering with military support charity, Operation Gratitude, to create a tangible way to say thank you to Americas military. Gift Card Week provides consumers a way to show their appreciation to Americas Service Men and Women, past and present. In addition to the full value of the purchased gift cards benefiting the military recipients, Gift Card Impressions will also donate two percent of the total value of all gift cards sold from June 13 July 11 to Operation Gratitude for its military support programs. The process is simple. Visit giftcardweek.com and purchase a gift card for someone who has served in the military. Then, customize this moving Military Appreciation Video for free. Finally, send the e-teaser thank you and let the Service Member know a gift card is on the way. Those who may not have an immediate military connection can also purchase a gift card to be included in an Operation Gratitude care package or purchase gift cards for any recipient and still support the military knowing that Gift Card Impressions will be donating a percentage back to Operation Gratitude. John Adams, formerly an active duty captain in the United States Marine Corps and currently the Director of Strategic Operations for Operation Gratitude, knows first-hand the difference even the smallest gesture can make. To feel that your service is recognized is extremely gratifying. Just to know that people appreciate what you do for love of country, makes your personal sacrifice worth it, said Adams. Americans want to show their gratitude, but often arent sure how. Gift Card Week is a simple, yet meaningful way for people to say thank you to the military. Operation Gratitude founder, Carolyn Blashek, concurs, In keeping with Operation Gratitudes mission of providing hands-on opportunities to say thank you to our nations heroes, we are thankful for Gift Card Weeks support. We have seen first-hand how notes, care packages and good wishes can truly help lift the spirits of our military members and their families. Those interested in participating can visit giftcardweek.com and purchase a gift card from leading retailers and restaurants for a friend, family member or neighbor who has served. Gift cards may also be purchased for any occasion or recipient with two percent of the value of every gift card sold going to Operation Gratitude. 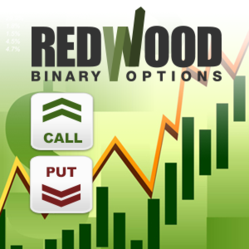 Redwood Options, the relatively new binary options brand, offers the high payout of 81% on 60 second options. Redwood stands out amongst the crowd due to these impressive payout amounts and their extensive asset selection. Binary options traders can choose from a variety of over 90 assets, including stocks, commodities, indices and forex currency pairs. These include the popular forex binary option EUR/USD and stocks such as Apple and Google. Redwood provides their traders with the most up to date forex and stock market analysis. These news articles are released on a daily, weekly and monthly basis. Redwood traders can learn about current market movements and important economic events via this news section. This digital options platform is complete with a live newsfeed from Thomas Reuters, the most trusted financial news source. This feed displays the most relevant headlines and stock prices in real time for optimal binary options trading. Redwood Options has been rated highly for their level of customer service. Support representatives are available by phone, email or live chat on the site. This team has been found to be extremely professional and helpful in attending to customer inquiries. They are available around the clock for all trading needs. Local phone numbers are available for residents of the U.S and Canada. This [binary options broker offers a high level of account management for their trading clients. Each client has the option to choose which investor package suits them and their financial goals for options trading. Once they join the platform, traders are paired with an account manager in order to guide them through this process. Account manager James Briggs explains, options trading has opened up a whole new door of opportunities. By eliminating the middleman, which was once the bank, people are now able to generate an additional income from trading, right from their own laptops. This has revolutionized the way we view trading. Redwood Options is one of the only platforms in the market that offers one on one advice and personal forex training. This brand is one of the fastest growing binary options brokers in the markets today. Redwood Options is marketed by the top-rated binary options affiliate program, Rushbucks. Rushbucks has proven itself as the most rewarding affiliate program; providing affiliates with pixel tracking, dynamic link structures for fast link creation, custom campaigns and a robust API. The Rushbucks.com system is a highly detailed statistics backend where partners can see how traffic is handled in real time. Rushbucks is constantly growing with exciting new features such as mobile platforms, new languages, excellent and innovative marketing tools, special reports and high converting, profitable products from the best software providers. Affiliates will enjoy high conversions and timely payments when partnering with Rushbucks in order to market Redwood Options. Willows health work in the weight loss niche and well-being, with two products strongly focused on the benefits of Aloe Vera as a natural ingredient. Aloe Vera contains substances that help to reduce inflammation, but also strengthens the immune system, helps in digestion and it is very good for the skin. It is a therapeutic substance that has been used for over 5000 years, making it a niche product for affiliates to promote and commission of 30%, there is not much money to be made by publishers. MoreNiche affiliate network has been established since 2002. All affiliate programs found on the social safety net programs are high Commission in the niche of health and beauty. Affiliates are offered great support managers of subsidiaries of specific products, as well as free online training to improve their websites and marketing strategy through twisttraining.com. MoreNiche is a transparent and honest network with more than 25.185 million affiliates promoting merchants that offer a number of different products. Willows Health is a great addition to the network while the demand for wellness products is enormous, particularly natural products, such as the range of health willow. exclusive launch, the first 40 network affiliates who add the word review of health products Willows 500 can earn a bonus of 5 ‘. Click here to participate in the health MoreNiche Willows.